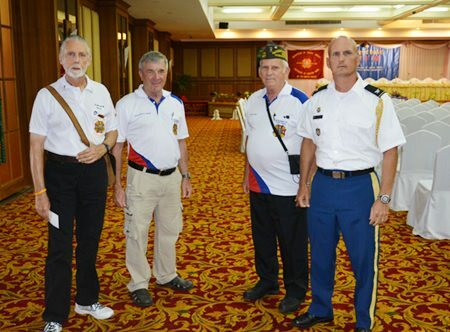 Retired American veterans, VIP commanders and other military officials met in Pattaya as the U.S. Veterans of Foreign Wars Pacific Areas hosted their 48th annual convention June 8-12 at the Royal Palace Hotel. The opening ceremony featured a Boy Scout troupe marching through the crowd and saluting to the flag of the United States of America as its national anthem played in the background. 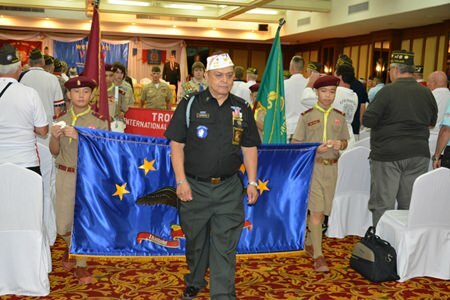 Convention Chairman Al Serrato leads the marching Boy Scouts through the crowd of veterans before the opening ceremony. 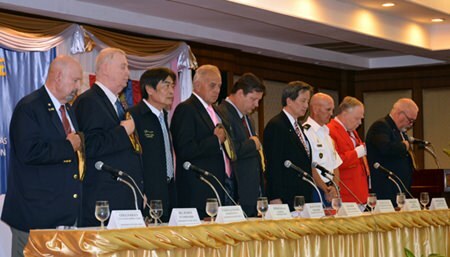 Pattaya Deputy Mayor Ronakit Ekasingh provided the warm welcome before the VFW laid out the agenda for the meeting and introduced the VIPs: Shawn Watson, commander of the VFW Department of Pacific Areas; Homer Kemper, junior vice commander; Jim Malott, supreme representative; Colonel Walton, senior defense counsel; Hans Song, senior counselor; Edward Banas, senior past national commander in chief of the U.S. VFW; Bill Hudson, senior vice commander; and Gerald Kraus, national council member. Hans Song, Senior Counselor of the Veteran Affairs Commission greets the gathered the Veterans. 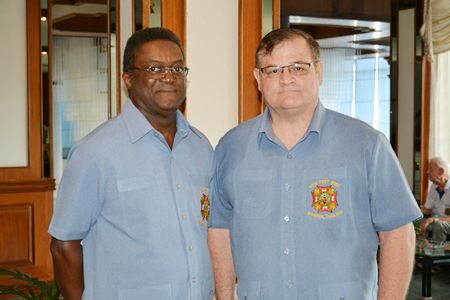 The Provisional Department of Pacific Areas was formally established on Dec. 3, 1966 at VFW Post 9467 in Yokohama, Japan. 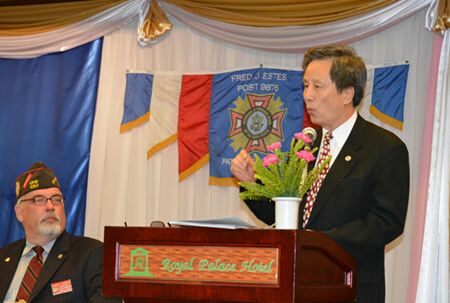 The formation of the department was a direct result of the continued cooperation of VFW Posts in the Far East area over many years starting in 1948. 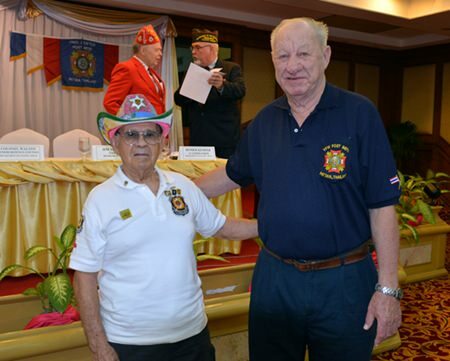 Following the end of World War II and with the surge of occupational U.S. forces throughout the Far East it seemed only natural that the VFW would establish itself and become an active stalwart in the support of U.S. Forces and veterans throughout the Pacific region. 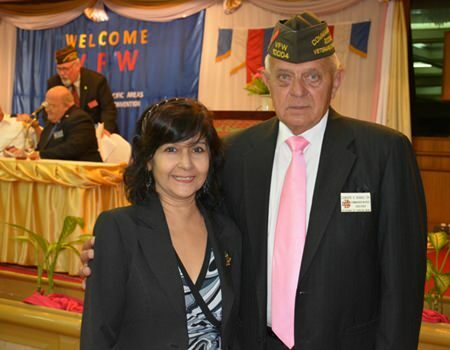 Deputy Mayor Ronakit Ekasingh welcomes the veterans to Pattaya. 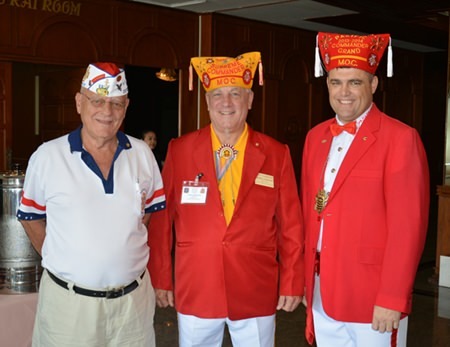 The VFW is all about Veterans who answered their country’s call to duty. 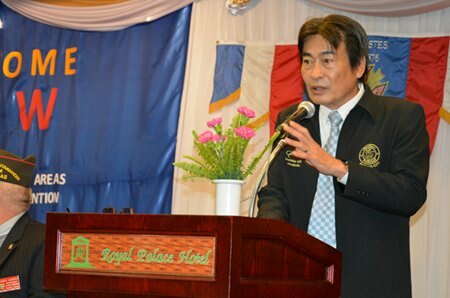 They are active in helping various charities throughout Pattaya, including cash donations and providing needed items to support foundations, sports clubs and many more. 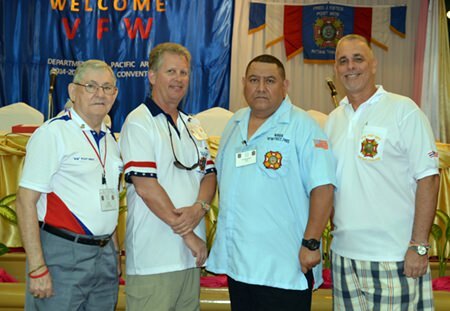 Other objectives of the VFW Department of Pacific Areas is to insure the national security through maximum military strength, to speed the rehabilitation of the nation’s disabled and needy veterans to assist the widows and orphans, and the dependents of disabled and needy veterans and to promote Americanism through education in patriotism and constructive service to the communities in which they live. 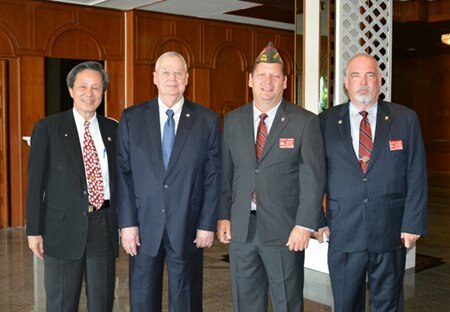 (L to R) Hans Song, Senior Counselor of the Veteran Affairs Commission; Bill Hudson, Senior Vice Commander VFW Department of Pacific Areas; Shawn Watson, Commander of the VFW Department of Pacific Areas; and Homer Kemper, Junior Vice Commander of the VFW Department of Pacific Areas. VIP members and guests bow their heads in prayer. 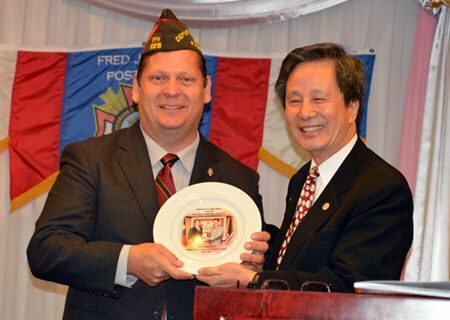 Hans Song, Senior Counselor of the Veteran Affairs Commission (R) presents a gift to Shawn Watson (L), Commander of the VFW Department of Pacific Areas. Sue Kukarja, Director of Communications for PMTV greets Edwards Banas, Past National Commander in Chief, VFW of the United States of America. 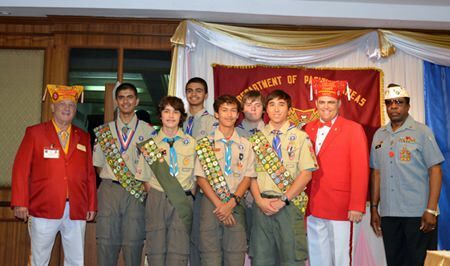 Boy Scouts pose for a photo with VIP members of the VFW Department of Pacific Areas. Alois Wine Dinner – no April Fool!